In comments that could be of interest to those with families who are thinking of buying a new car, the Citroen C3 is said by its manufacturers to be perfect for the modern household. Smart, sophisticated and with low carbon emissions, this five-door supermini has been called "a bold reinvention of its popular predecessor". 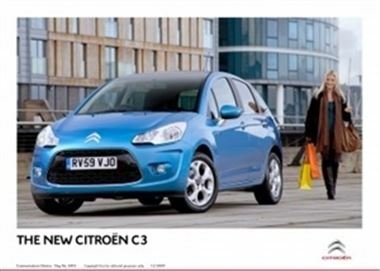 The old C3 sold more than two million examples worldwide. If managing director Gary Savage's comments are to be believed, the new version could surpass this. "The new C3 represents a bold, contemporary, dynamically rewarding and fresh approach to the compact family vehicle," he said, adding it retained the "exuberant charm and friendly personality" of the last one. Safety is one feature the carmaker assured had been maintained and improved upon in the 2010 model. A reinforced body structure, speed limiter and six airbags are some of the elements that could make this vehicle a secure mode of family transportation. The brand recently released the newer version of the C5 with more environmentally-friendly engines.